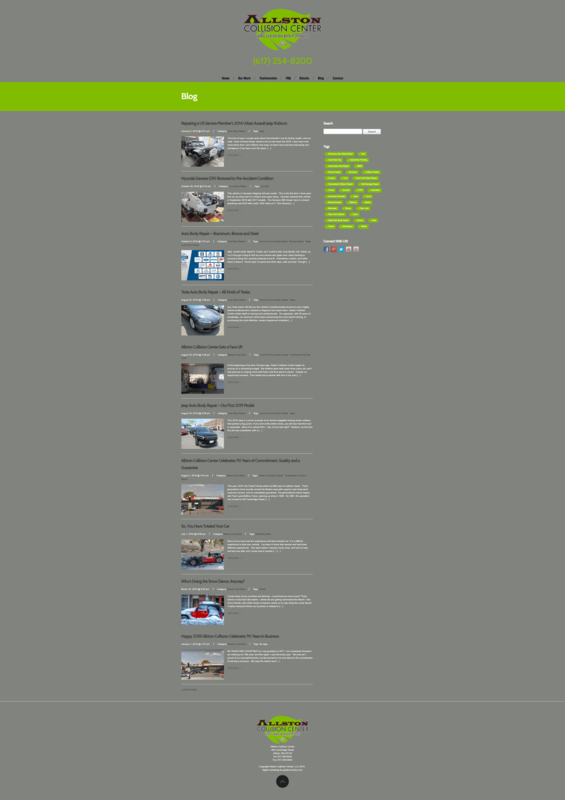 Allston Collision Center had a very old website that was created with a generic website builder tool; the website was very dated, and it had limited capabilities for customization and updates. 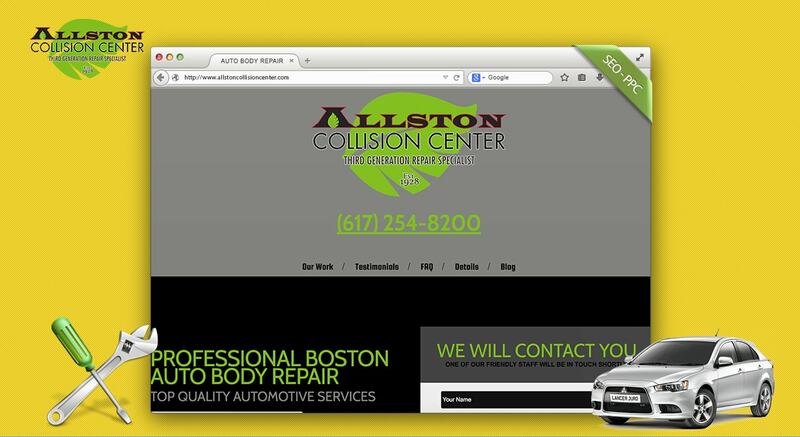 Having recognized the value of online marketing for lead generation, Allston Collision knew that a more professional solution was needed. They began looking for a partner to help them build a new website to showcase their business and work. They wanted someone that could not only design and build a high-converting website, but also help them promote the site through search. 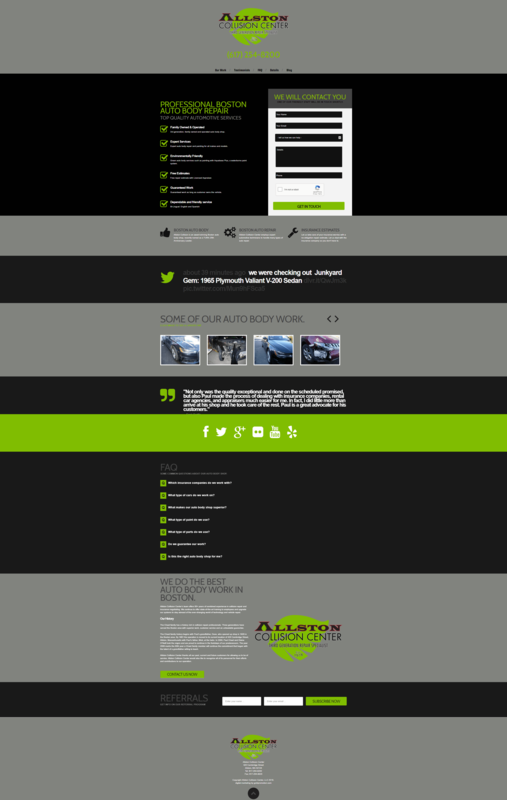 To create a modern website to showcase the company’s expertise in collision repair. To create a website that incites action and makes it easy for a prospective customer to contact a business and make a service inquiry. To have full analytics and tracking built into the website in order to measure the effectiveness of the site and any promotional activities. 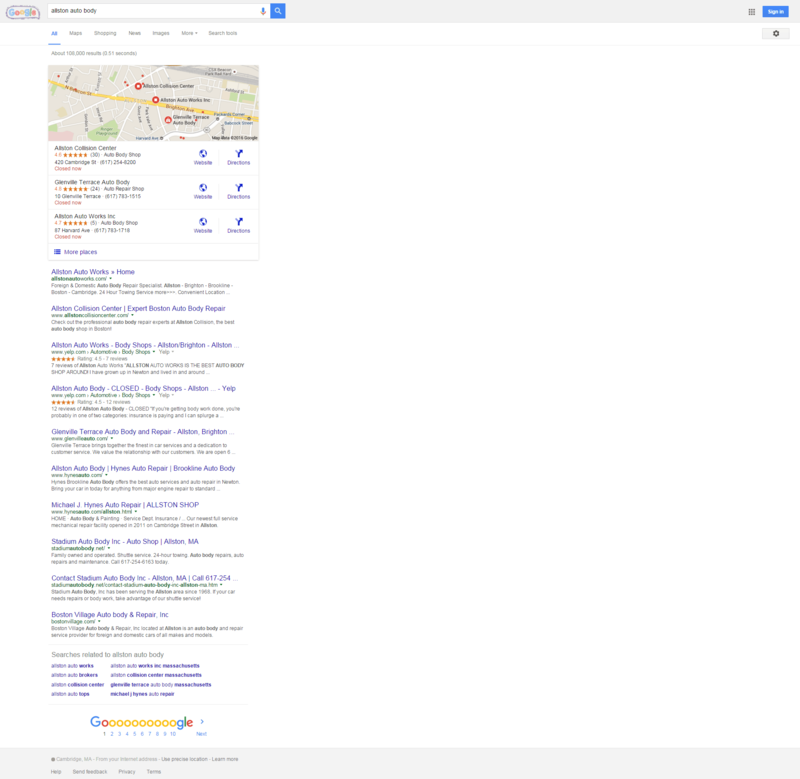 To secure a major presence in search, with top listings for auto body related keyword searches. To create interest and awareness for our business and grow the bottom line. 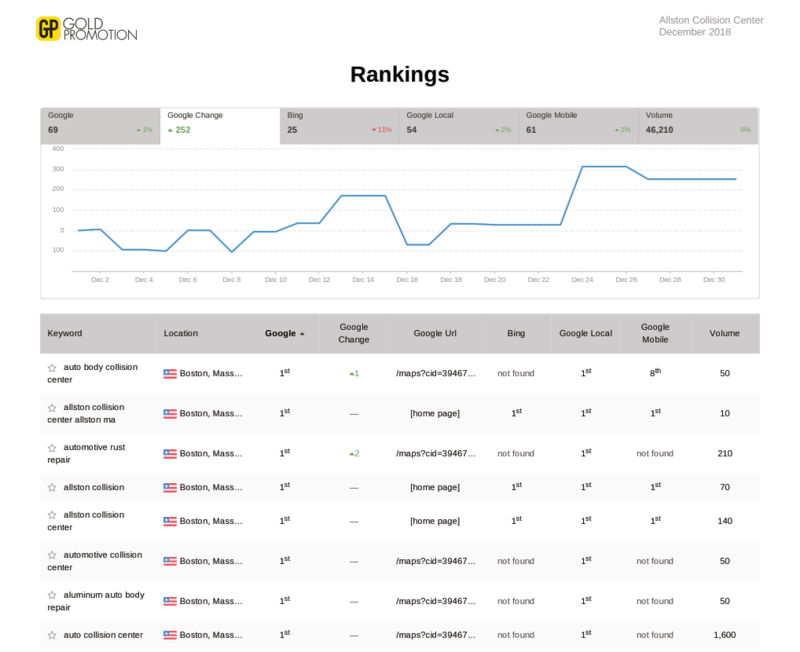 Gold Promotion built a new WordPress website to serve as the foundation and hub of Allston Collision’s online marketing efforts. The website features large call to actions such as click to call and easy web form submissions, with full analytics. The website is optimized for search and geared for conversions. 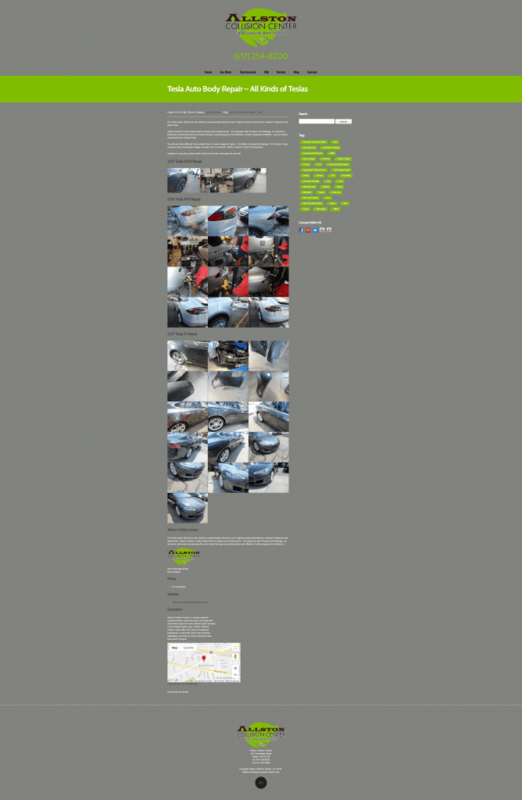 It features a high-quality photo gallery as well as an SEO optimized blog for content marketing. The site is small yet full-featured, with full semantic markup and social media integration. 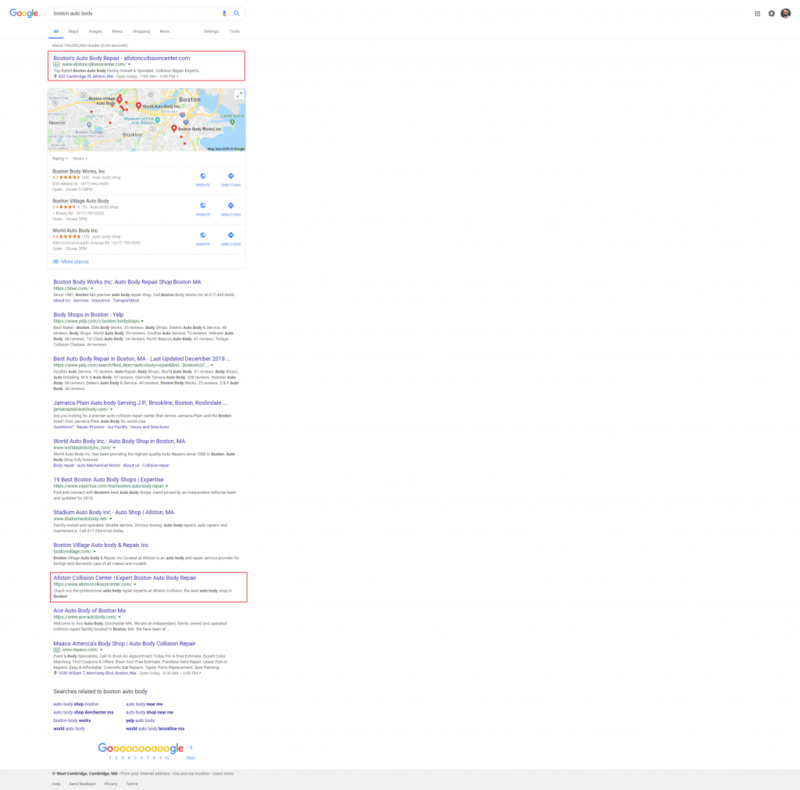 An SEO campaign was also launched to boost the performance of the website in Google search through increased rankings in local maps and organic search. 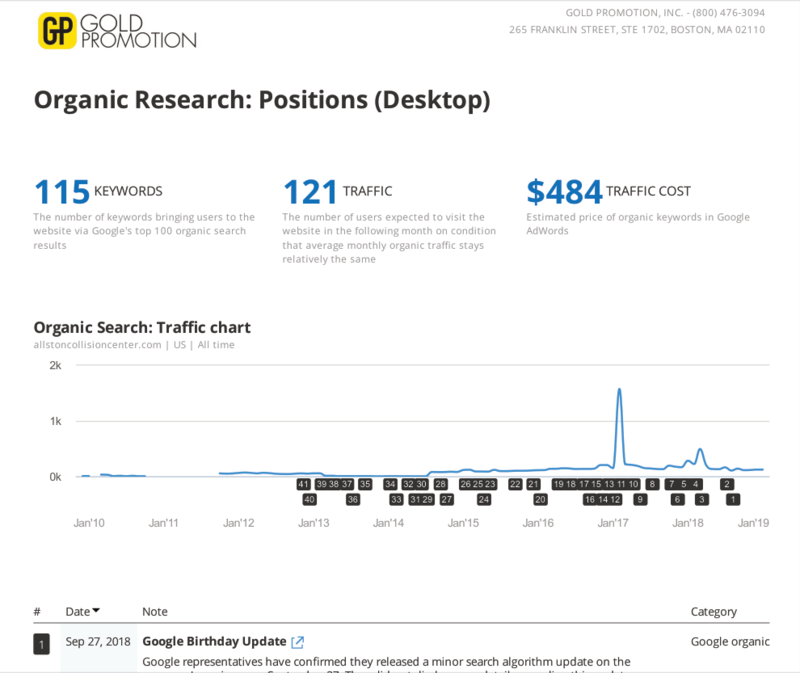 A multifaceted approach was designed and implemented, which includes the build-out of local business citations, additional websites / feeder properties, distribution of press releases to the media, strategic link placements, as well as optimization of video for YouTube and Google search. To drive additional traffic a pay per click campaign was established, in order to target individuals that are actively looking for help with auto body work. By using Google AdWords, the company is able to deliver targeted advertising, which ultimately increases the likelihood of capturing that click and then turning those high-value visitors into leads and new customers. 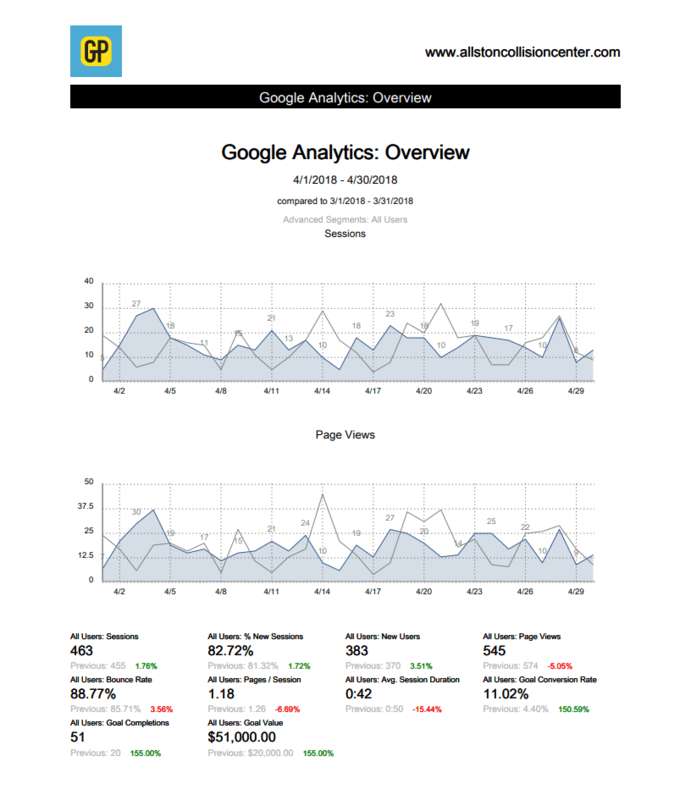 The website is fully integrated with Google services to provide detailed analytics and reporting. The response to the new website has been overwhelming, as the business now receives a the steady flow of phone calls and web leads. New business resulting from online promotions have substantially increased revenues and improved the bottom line.